Want to get involved in preventing youth tobacco use? 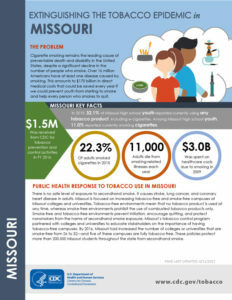 Consider advocating for a Tobacco 21 or Smoke- Free Ordinance in your community! "NPW 2017: Emerging Issues in Tobacco Use” provides an overview of the current landscape on tobacco use and addresses emerging issues in tobacco misuse and prevention. It features experts from SAMHSA and the CDC, as well as NPW partner Campaign for Tobacco Free Kids. How Could Lowering Nicotine Levels in Cigarettes Change the Future of Public Health? 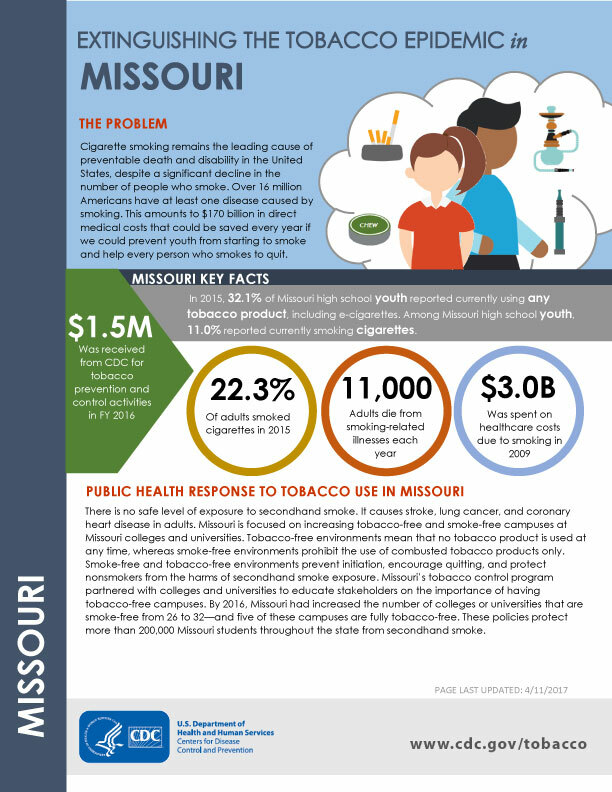 What Is the State of Lung Cancer in Missouri?